The return of Kaoru Watanabe! 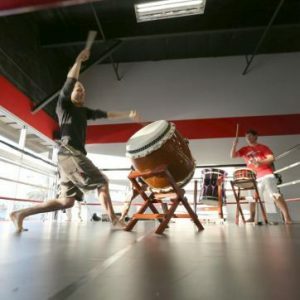 Join us on Nov 18 & 19 for a great weekend of taiko! 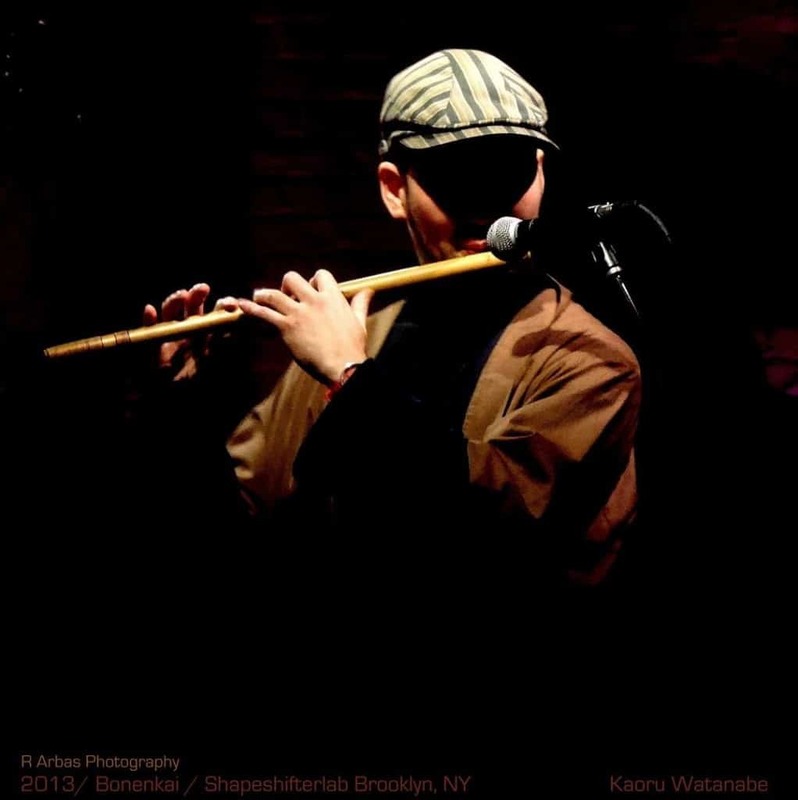 Kaoru Watanabe is a Brooklyn-based composer and musician who specializes in both taiko and shinobue (Japanese flute). 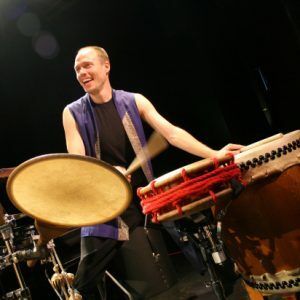 A former member and artistic director of the internationally renowned taiko ensemble Kodo, Kaoru is an instructor for kaDON (an online taiko and fue resource presented by Miyamoto Unosuke Shoten of Tokyo) as well as the founder of the Kaoru Watanabe Taiko Center in New York. He has been a visiting lecturer at Princeton University since 2010 and has taught courses at Wesleyan University as well as Colby and Dickinson Colleges. He also has extensive training in Western music, having earned a BFA in jazz flute and saxophone performance from the Manhattan School of Music. 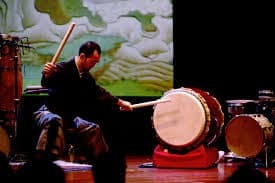 Miyake is a traditional Japanese taiko drumming style that has become known through works of the taiko group Kodo. 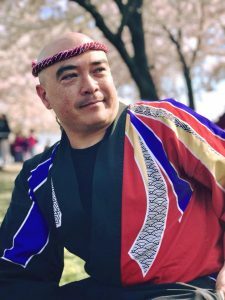 Kaoru’s workshop draws on his considerable experience with traditional and contemporary Japanese dance and drumming as well as his work with dancers, musicians, and martial arts experts from across the globe. 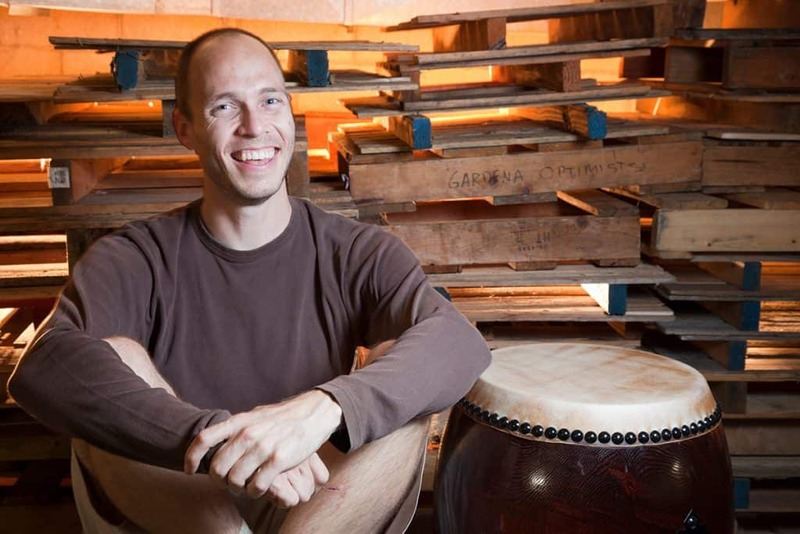 This workshop will help you develop stamina, stability, and greater body awareness in order to play taiko with considerably more power, efficiency, and grace. 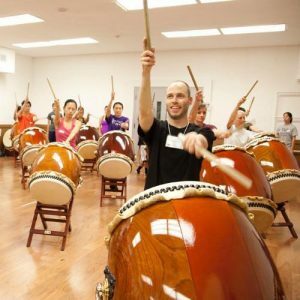 This is a great opportunity for any taiko player, whether you’ve been playing for years or have just finished up your first session of Mark’s Rec Class! 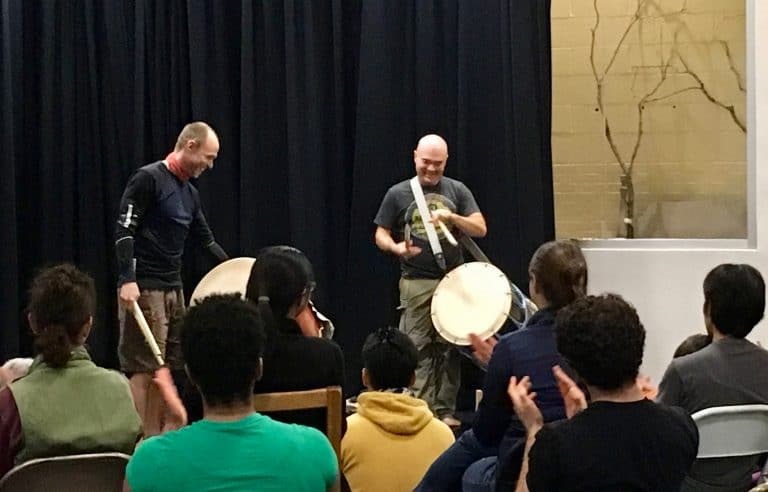 If you register for BOTH workshops, you not only save $20, but you also get to enjoy more taiko time to tide you over until our classes start back up again in January! 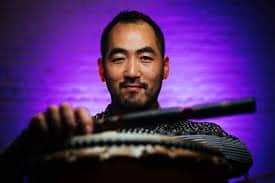 In this unique evening, Kaoru will perform current pieces, discuss his methodologies in composition and improvisation, and share his artistic influences (ranging from Noh Theater to jazz music to his experience with multi-cultural and multi-disciplinary collaboration) in an intimate and informal setting.